Becoming a parent is one of the most significant events a person will encounter during their lifetime, yet sadly the importance of emotional health and wellbeing during pregnancy and post-birth is often overlooked. 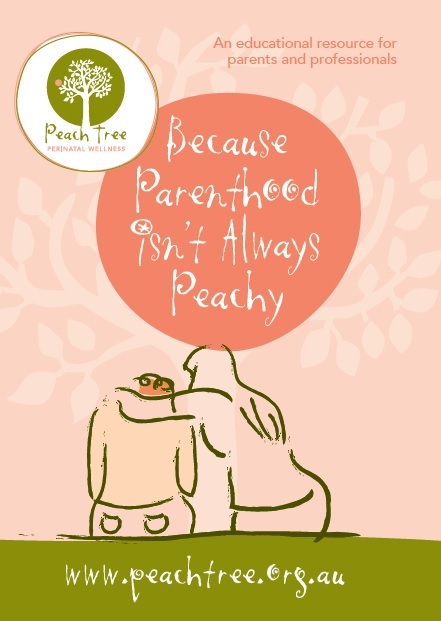 With perinatal mental illness figures in Australia continuing to rise each year, education and information for expectant and new parents about the emotional realities of parenthood is crucial, and something we at Peach Tree feel very passionate about providing. Because Parenthood isn’t always Peachy is an honest account of parenthood struggles, as seen through the eyes of mothers and fathers with lived experience of perinatal mental illness. With additional information from respected health professionals included, this resource promotes early help-seeking behavior and provides hope for families themselves in recovery of perinatal mental illness.